We are delighted to let you know about an exciting new way to raise funds for our Club…. 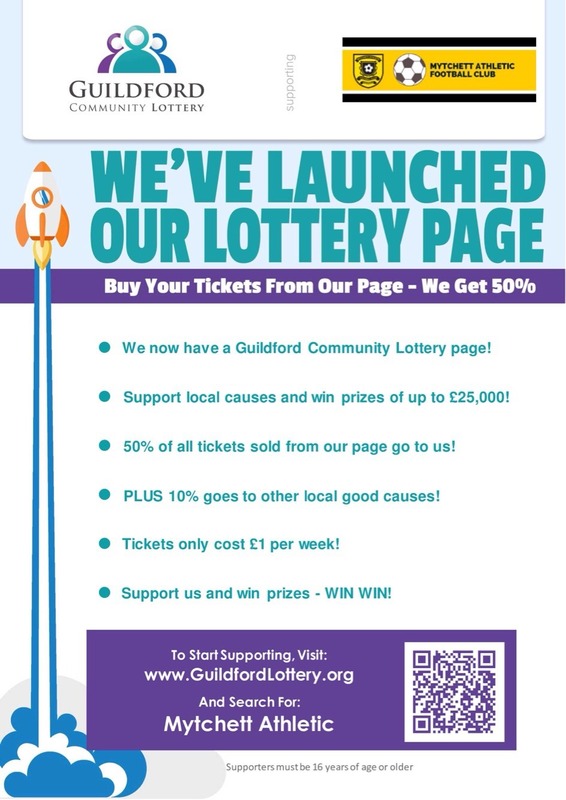 Guildford Community Lottery is a new initiative from Guildford Borough Council and is being launched to support good causes locally. The great news is, MAFC have been approved as a good cause the lottery can support. Tickets cost £1 a week and when you purchase a ticket you can choose to support MAFC. 50% of the cost of all tickets sold from our MAFC lottery page come straight back to our Club, a further 10% go to other good causes in the area and the remaining 20% cover the lottery running costs. Anyone can purchase tickets, it’s not limited to just MAFC members. There is a weekly online lottery with a draw every Saturday at 8pm. before the first draw (and pay by debit card initially) you could also win a family ticket for four to Birdworld!